Surprisingly, that acts of violence in adolescents is not only caused by alcohol, but also include soft drinks. At least that’s according to a recent study says that teenagers who like to drink soft drinks tend to be aggressive. High school students in the city of Boston, which consumes more than 5 cans of non-diet soda a week, 9 to 15 percent the risk of aggressive behavior compared to peers who drink less. 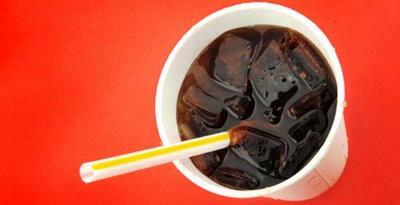 “We have a strong link between how many soft drinks consumed by teenagers and violent behavior they found. It’s not just violence among their peers, but also in relations with the brothers,” said David Hemenway, professor of the Harvard School of Public Health . Anyway, Hemenway said he could not deduce a causal link because there are more thorough investigation will be needed again. In his research, he has a survey of 1878 students from 14-18 years in Boston, where, according to Hemenway criminal case is higher than the sub-urban areas are more prosperous. The majority of respondents were Hispanic youth, African-American or mixed, and some people of Asian or Caucasian. A list of questions in the survey, the number of non-diet soft drinks consumed, with the 355 ml size (one can), which respondents drinking in the past week. They have also asked whether drinking alcohol, smoking, carrying weapons, or even violent acts on a friend, family member or loved one to commit. Evidenced by the results of this study, Hemenway said, is evidence of “dose response”. In other words, the more soda consumed, the higher their propensity for violence. In adolescents who drank a can of soda or not at all in one week, found 23 percent who carry a gun or a knife, 15 percent who commit violence in boyfriend, and 35 percent who do violence to his friend. Meanwhile, on “soda addicts” who drank 14 cans per week, 43 percent took place weapons, 27 percent do violence to the couple, and 58 percent do violence on their peers. In general, teens who drink sodas often have a tendency to aggressive behavior than those who only slightly. The trend was found, even after treatment of ethnic and family background factors. “We do not know the cause of this link. There may be some causal factors, but perhaps it is a marker of other problems, such as children who like to apply aggressive tendency to smoke, drink alcohol, or drinking soda. We are not sure, because it needs to do advanced study in depth, “said Hemenway.